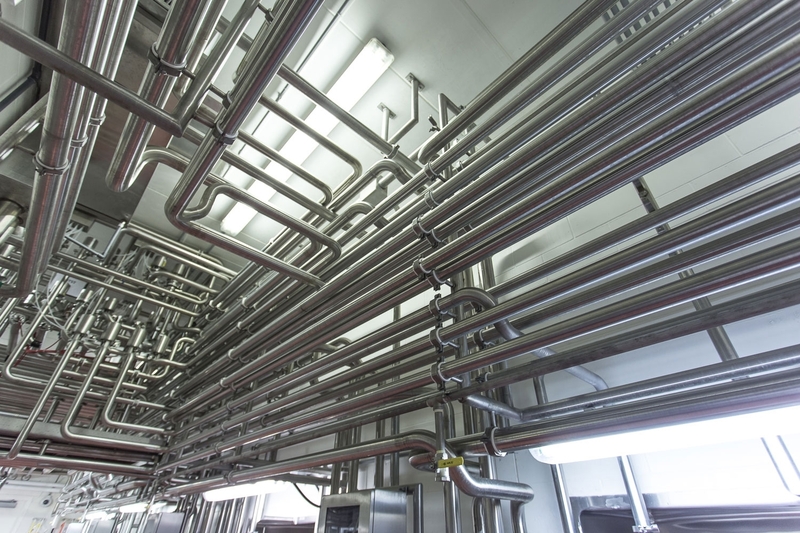 Stainless steel process piping is a key component in sanitary processing systems. 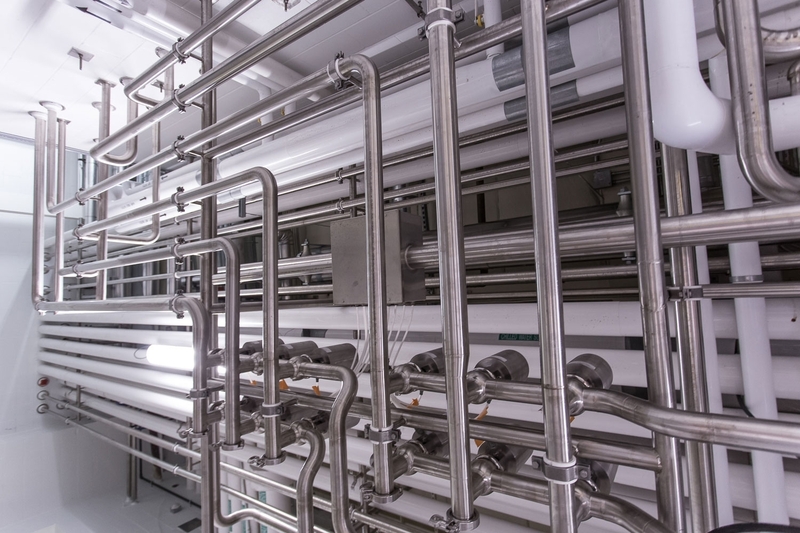 Transporting products and ingredients to various points of a production line, a well-piped system will be designed, manufactured and installed in a manner that ensures your operation's efficiency and cleanliness. W.M. 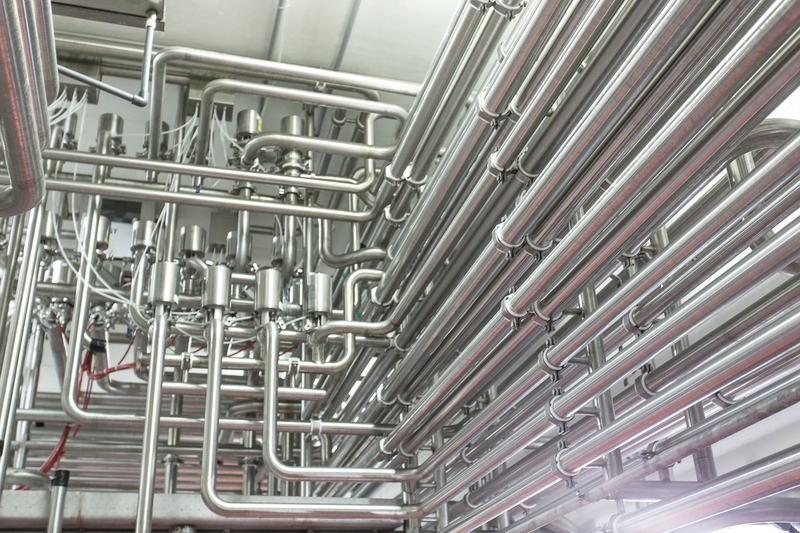 Sprinkman's process piping solutions will meet health and safety standards, in addition to suiting the needs of a your manufacturing process. When designing a processing solution, W.M. Sprinkman's engineers will lay the piping out in schematic diagrams. For safety, valves and shutoffs are installed along the line to release pressure, close off pipes, and isolate leaks. For cleaning, CIP systems are seamlessly incorporated. 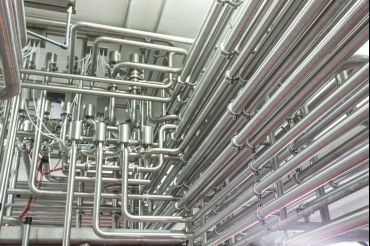 Many process piping functions can also be controlled through the addition of automated control panels in many facilities. Upfront W.M. Sprinkman will discuss your system needs and any options for you to consider in enhancing your system with process piping.